The T-62 was developed from the earlier T-54/55 series of tanks. Produced from 1961 until the early 1970s, the T-62 was armed with a 115mm U-5TS gun. They were first used operationally in the Middle East during the Arab-Israeli wars. 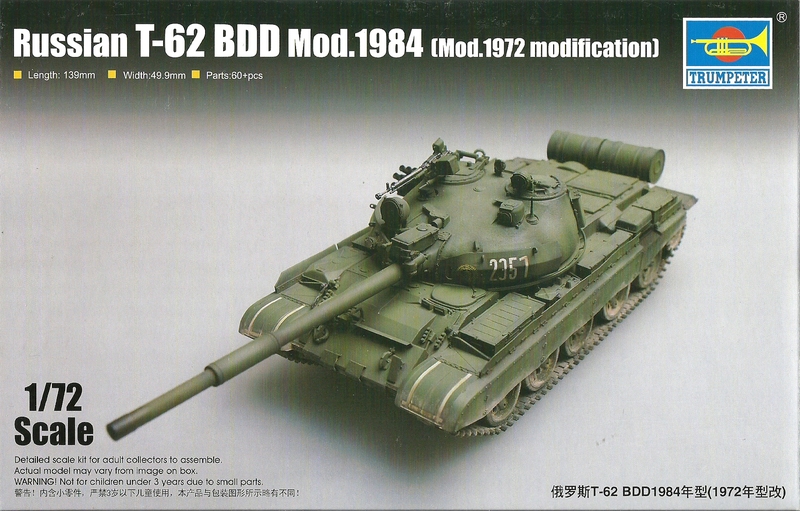 The T-62M was an extensively upgraded T-62 fitted with BDD applique armour, additional belly armour and 10mm think reinforced rubber side skirts.